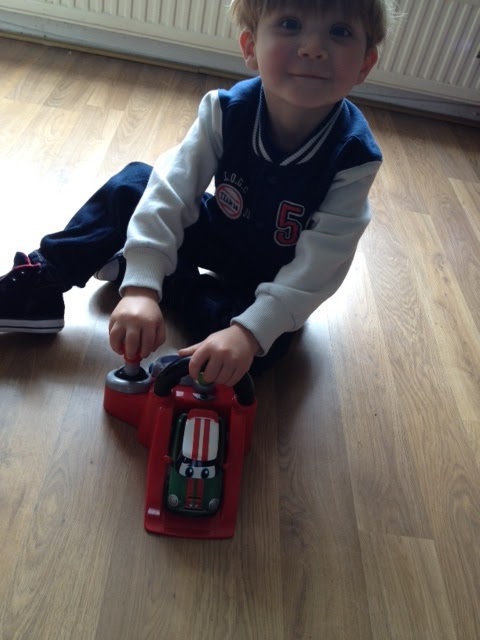 Both my boys love nothing more than playing with cars. They spend hours zooming them about the living room floor or the windowsills, they are a great height for little boys. Not so good on the windowsills, but they are having fun. When asked to review the Go Mini Stunt Launcher by Golden Bear I knew they would love it and they did. The little one who is 3 more than the older one I would say who is 5 1/2. 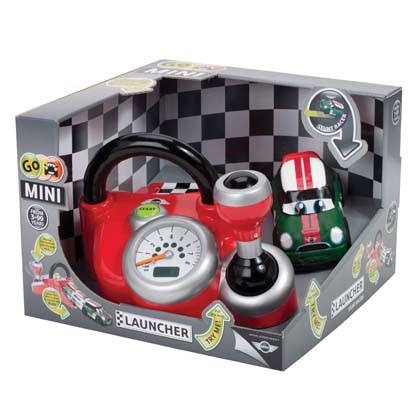 The car looks great and is chunky, perfect for little hands, especially when the car has to be pushed back into the launcher. I was worried it would be a bit fiddly and I’d have to do it every time but I needn’t have worried, Tyler managed it no problem at all. The Go Mini Stunt Launcher comes with the car and the stunt launcher itself is in one whole part so you don’t have to worry about losing bits. 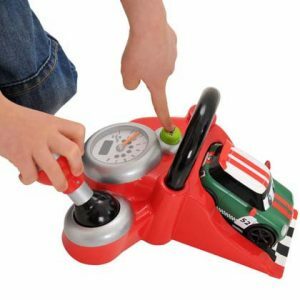 The child puts the car into the launcher, the button will raise, the hold onto the big chunky black handle to steady it while they rev the car using the gear stick, watching the rev counter rise. When ready they press the button and the car speeds off. You can also set a little bit underneath the car which allows it to perform a wheelie while speeding off. It’s all a lot of fun and looks great. I would highly recommend this toy from a parents point of view, there are no bits to go missing, it’s chunky and easy to use, but best of all no batteries. From a kids point of view, it’s fun, the car does stunts and goes super fast. A big thumbs up from Tyler.